The Quietus | News | The Fall Sign To Domino? The Fall Sign To Domino? 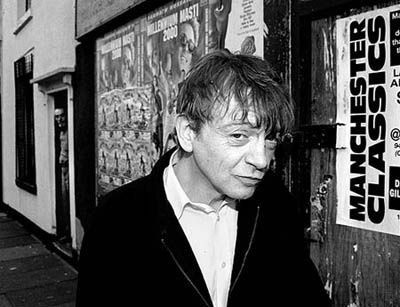 The Fall’s next album will be issued by Domino Records, Quietus sources have suggested today. As yet there’s no word on what the follow-up to last year’s Imperial Wax Solvent will be called, or even a rough estimate as to when it will appear in record emporia. Domino worked with Mark E. Smith in 2007 when they released the debut effort from Von Südenfed, the collaboration between the Fall mainstay and Düsseldorf dance duo Mouse on Mars. Rival indie Beggars Banquet are currently in the process of re-issuing some of the albums The Fall recorded while at the label, including I Am Kurious Oranj and This Nation's Saving Grace. In other Fall-related news, Mark will give a reading at Huddersfield Literature Festival on March 15th before The Fall play The Junction in Cambridge (March 31st) and London’s Koko on April Fools’ Day. Mark E. Smith’s life story Renegade, co-written with Quietus scribe Austin Collings, has just been published in paperback, too. Read our review of the tome here.